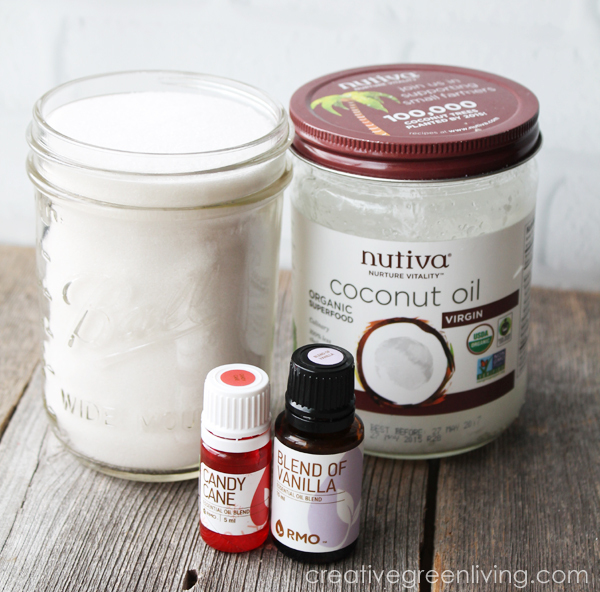 In a glass bowl, mix together sugar and coconut oil. Assess texture and add more oil (for a wetter scrub) or sugar (for a drier scrub) as desired. Move half of the sugar mixture to a separate bowl. Add coloring powder, a little at a time to one bowl, mixing well before adding more--until desired color is reached. 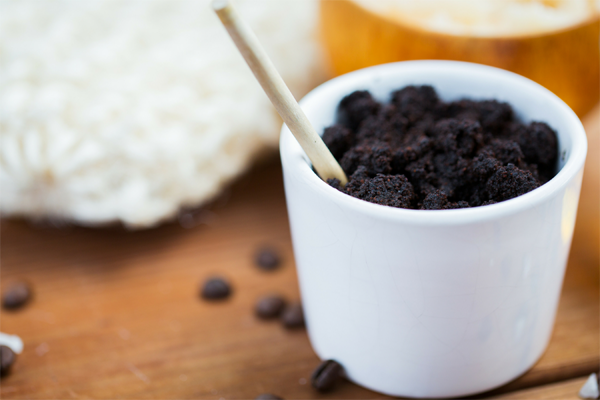 Add 15 drops of vanilla essential oil to the white scrub and mix well to incorporate. Add 10 drops of peppermint essential oil to the red scrub and mix well to incorporate. 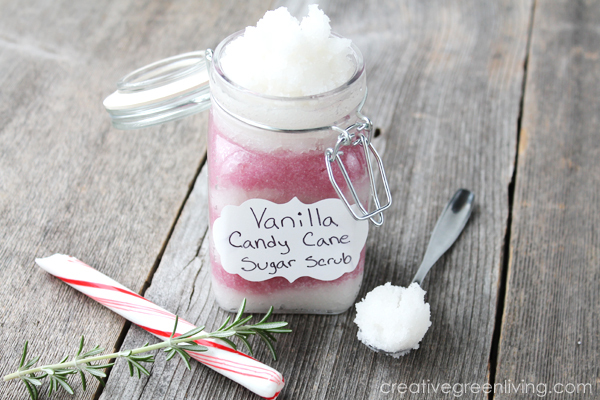 Using a long, narrow spoon, scoop some of the white scrub into the jar and smooth it out to make a white layer. Next, scoop some of the red mix into the jar and smooth it out to make a red layer. Continue alternating colors like this until the jar is full. If desired, add a pretty label to the jar so your gift recipient knows what it is and tie it up with a ribbon and a sprig of rosemary or small Christmas tree bough. 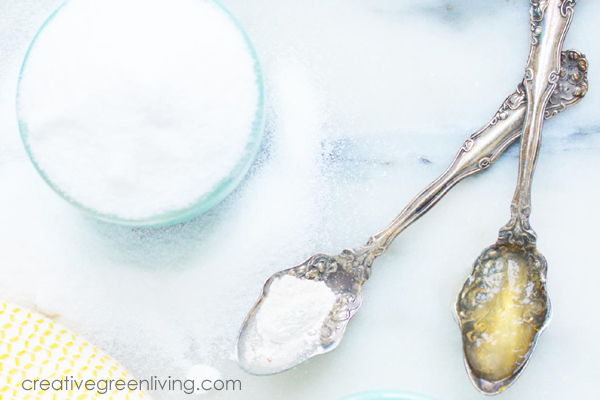 You may also want to give a tiny spoon with the scrub to help the recipient to better get it out of the jar when it's time to use it! To use the scrub, scoop some out into your hands while in the shower. Allow a little warm water to run into your hands to activate it and scrub on skin that needs extra exfoliation. It also makes a great gardener's or mechanic's hand scrub to help get deep dirt off of your hands. Warning: The coconut oil in the scrub can make your shower floor slippery so use caution. 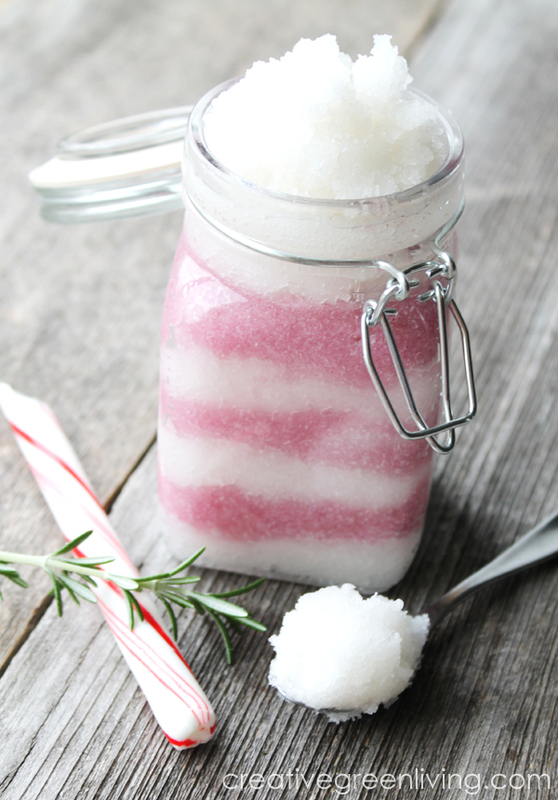 Love DIY Sugar Scrub Recipes? 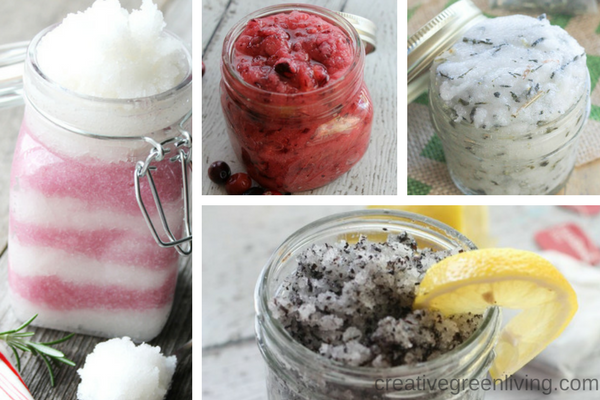 Check out my list of the best DIY body scrub recipes to make at home. Nice gift--I bet this smells great. Thanks, Sue. It really does. This is so cute and I bet it smells amazing!!! Thanks, Jennifer. It totally does! Sounds YUMMY!! Thanks for the video! This is such a cute ideaa! 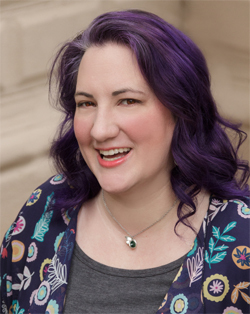 My name is Kim Wolff but this is posting as my grandson. Love that you use Rocky Mountain oils! That's my fav brand too! How long will it last once made? When I first made this project, I made multiple jars of it and promptly lost one. I found it a year later and it was still good - I wouldn't necessarily recommend you keep it that long before using it but as long as it doesn't look or smell funny, I'd say you're good.